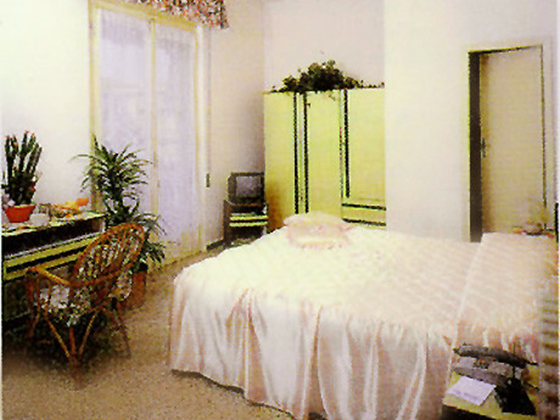 HOTEL LINA, ALL YEAR OPEN, appropriate to current standards. Warm and friendly accomodation, close to the beautiful main promenade and only few meters from the beach. Some of our SERVICE: comfortable living room with sofas, COLOUR TV and AMERICAN BAR always well stocked. Free WI-FI and FAX SERVICE at reception. ELEVATOR fresh and pleasant VERANDAfor a relaxing small talk, small and nice GARDEN to let children play. Free BICYCLES RENTAL and PARKING ( placessubject to availability ). CREDIT CARDS and BANCOMAT are accepted. SMALL PETS are welcome. All rooms are bright and airy, all equipped with: AIR CONDITIONING (included in package B), SATELLITE COLOUR TV , TELEPHON, PRIVATE BATHROOM with HAIR-DRYER, BALCONY. In our AIR CONDITIONED, you can taste the best dishes of meat and fish typical of the local cuisine. 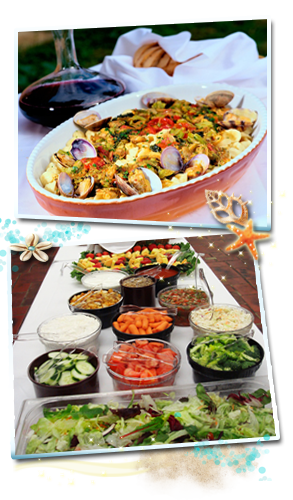 Delicious BUFFET OF FRESH VEGETABLES IN SEASON and MEAT and FISH MENU always different and rich in taste, based on healthy and wholesome products. 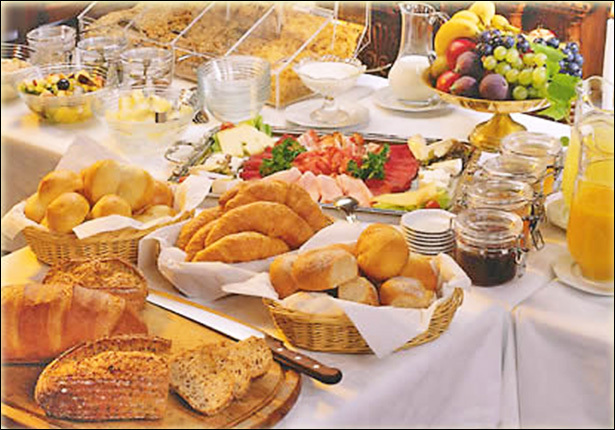 Every morning the BREAKFAST BUFFET offers: hot drinks (milk, coffee, tea and chocolate ) and fresh drinks (cold milk and juices) fresh bread, bagels and pastries, toast, cereals, butter and jam, yogurt and other goodies. Cheeses and cold cuts also available on request. 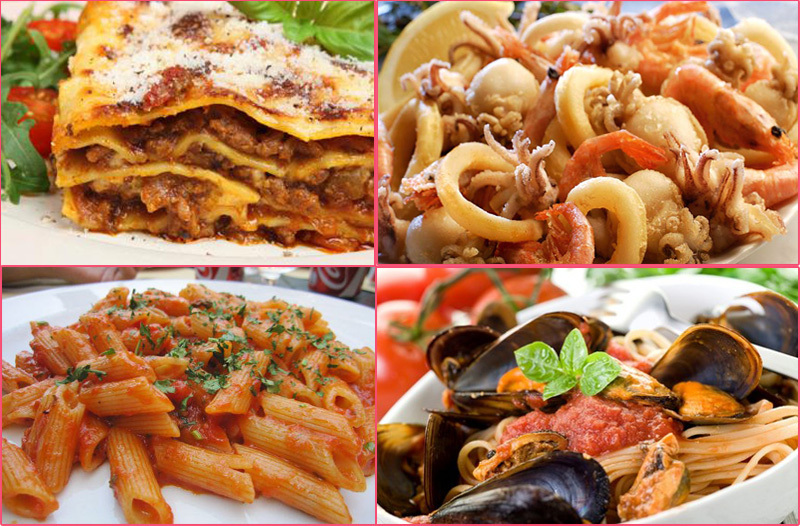 The cuisine is treated with great care by the owner, who always tries to meet the needs of every customer, especially for the younger guests. 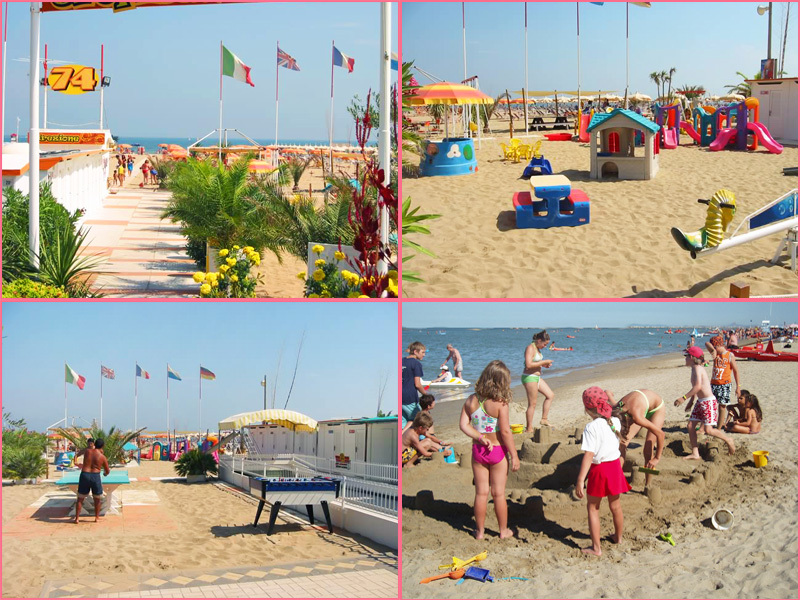 Our hotel has a SPECIAL AGREEMENT with the beach area named "BAGNO n° 74": free use of locker room, hot and cold showers, always clean bathrooms that are also to wheelchairs accessible, beach volleyball courts, playground for children, table tennis and table football, bar and all the fun ... only the Adriatic coast can offer!